Planes and helicopters from four coastal stations searched yesterday for a Washington Panther jet pilot missing from Chincoteague Naval Air Station since 9:45 a.m. Tuesday. 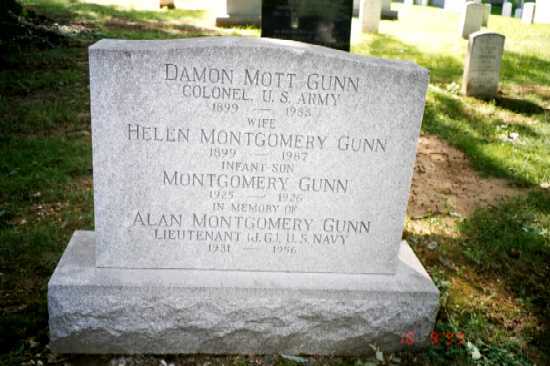 Pilot of the plane was Lieutenant (jg) Alan Montgomery Gunn, 24, son of Colonel Damon Mott Gun (Retired) of 4418 Lowell Street, N.W. Lieutenant Gunn is a Yale University graduate and unmarried. He was commissioned in June 1954. Navy spokesmen said that though the jet was headed for Kill Devil Hill, North Carolina, it was believed to have gone down in the ocean off Chincoteague shortly after take-off.The pilot was flying on instruments in a tracking operation with the U.S.S. Macon, a cruiser. He was supposed to report back to the base as soon as he gained altitude over the water. He never did so. The plane carried fuel for 2 hours and 30 minutes. A $1000 reward was offered yesterday by the father of a Washington jet pilot missing since Tuesday in a flight from Chincoteague Naval Air Station, Virginia. Colonel Damon Gunn (Retired) of 4418 Lowell Street, N.W., father of pilot Lieutenant (jg) Alan Montgomery Gunn, 24, asked persons having concrete information to contact the air station before 6:30 p.m. Saturday. Thirty-four planes were hampered by rainy weather in their search yesterday between Elizabeth City, Richmond and Washington. After the reward was posted. a report of a crash near the station on Tuesday was reported. A service for Lieutenant (jg) Alan Montgomery Gunn, 24, who disappeared a month ago while on a test flight will be held in the Bethelem Chapel of Washington Cathedral at 3 p.m. Thursday. Lieutenant Gunn, who was commissioned in 1954 after his graduation from Yale University, was assigned to the Chincoteague, Virginia, Naval Air Station. He has been missing since leaving the station April 24 on an instrument flight. Lieutenant Gunn attended Sidwell Friends School here. 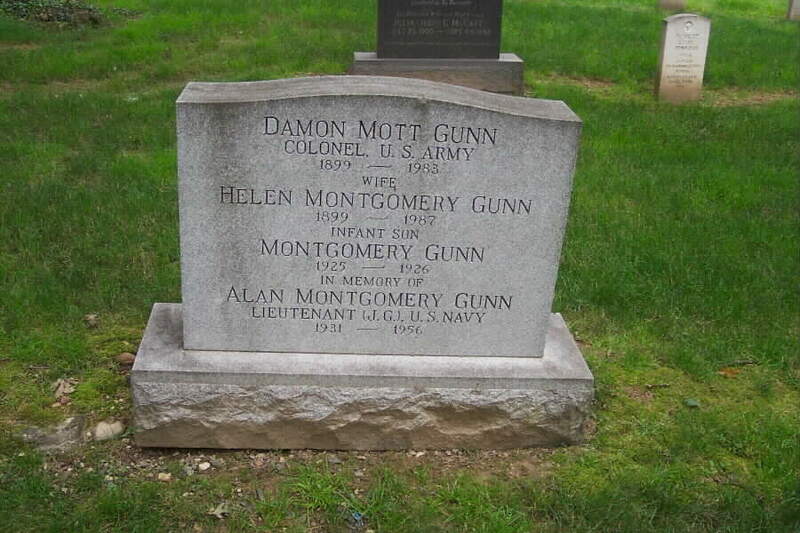 Surviving are his parents, Colonel and Mrs. Damon M. Gunn, United States Army (Retired), 4418 Lowell Street, N.W., and a brother, Robert M. Gunn, Chicago.